When your heating and cooling units in the Edgewater, New Jersey, area need servicing or cleaning, look to ATS Mechanical Inc. for experienced and insured services. Each of our heating and air conditioner service calls comes with a unit inspection. With an extended service fee, we'll come to your home, inspect it, determine the cause, and offer a solution. 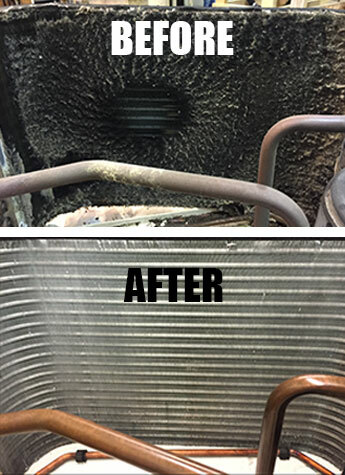 Heating and cooling units should be cleaned at least once every two years. A simple steam cleaning can ensure the unit stays like new for much longer. This is especially important because the PTAC unit is used nearly year-round, Whether it's circulating heat or air conditioning. To ensure top performance at all times, We ensure there is no mold build up in your machines. Most small repairs are done on-site. More complex jobs are done at our shop. If we need to take your unit, We'll be sure that the spot is covered until its reinstalled. Since we stand behind every repair, We provide a warranty for all parts that are installed and all repairs that are performed.